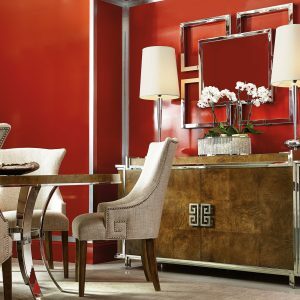 Katzberry is proud to offer a wonderful selection of distinctive home decor. 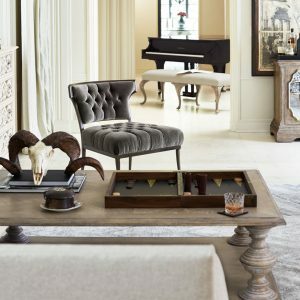 Browse our online furniture store for the best array of luxury furniture for your bedroom, family room, living room, study, or den. 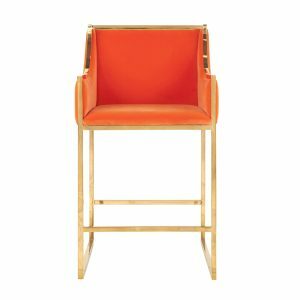 Shopping for tall bar chairs to finish your man cave? 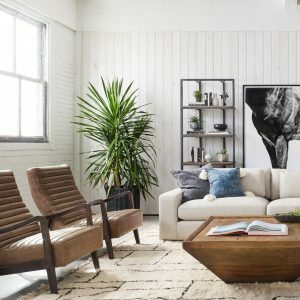 Need a new loveseat for the living room? 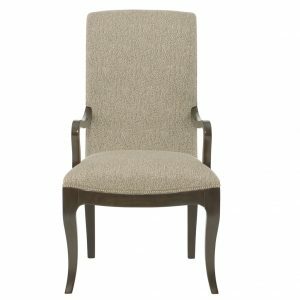 Looking for a linen chair for the powder room? 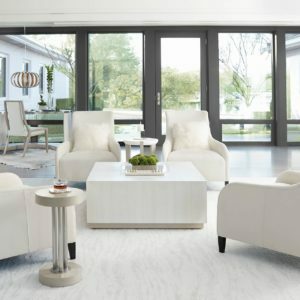 You’re sure to find what you’re looking for in our online furniture store. We also carry an impressive collection of outdoor living furniture, home accessories, and lighting solutions. If you can’t find what you’re looking for, don’t hesitate to contact our friendly team today. 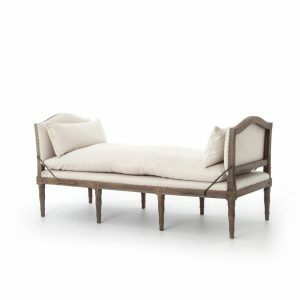 Play up a sense of French Chic with a chaise featured and styled to look relaxed. Natural linen upholstery and weathered oak frame, spit tack and iron fluer-de-lis detailing. 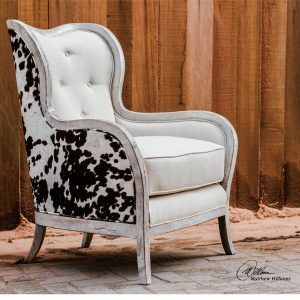 Cozy little side chair in soft upholstery and button detail back, Spring Down cushion with welt and Mocha finish wood legs. 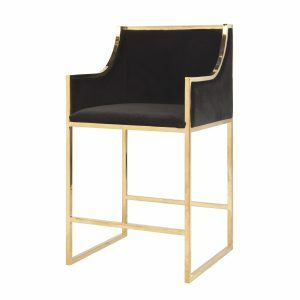 Luscious tall bar chairs look neat as a pin, sleek and contemporary. Shown here in Orange Velvet and Brass frame. The slim lines of Danish modern design are played out in tapered, almond-toned hardwood arms. 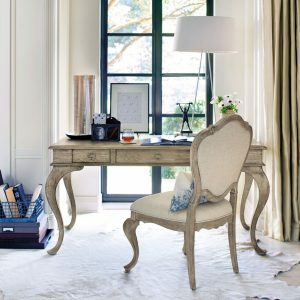 Neatly, neutral linen upholstery offers a just-right combination of comfort and sophistication. 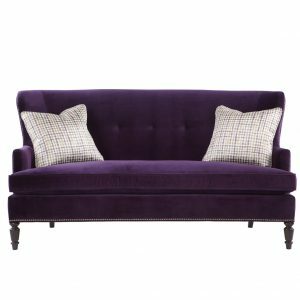 Soft and cozy, this luxe Loveseat features a soft fabric and a Luxe Down cushion. 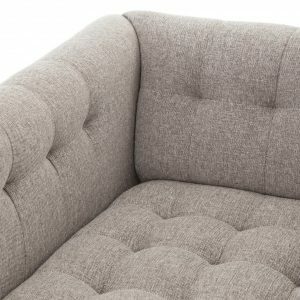 This sofa has beautiful detail with its button tufted insets on interior of back and sides. Has dark Mocha wood finish legs and comes with 2 coordinating feather down blend pillows with welt. Simple elegance and romantic. 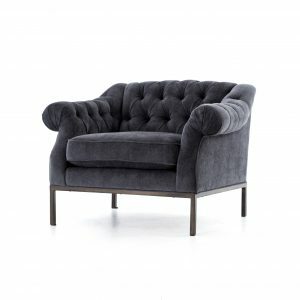 Soft rich charcoal grey upholstered chair has abundant seating area, tufted inside back and arms with soft lines. 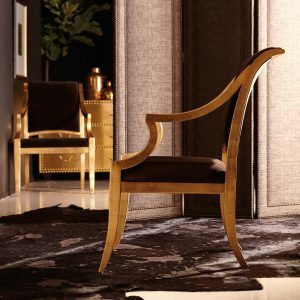 This beautiful chair has an elegant Gold Leaf finish with Espresso color upholstery on seat and back with welt. 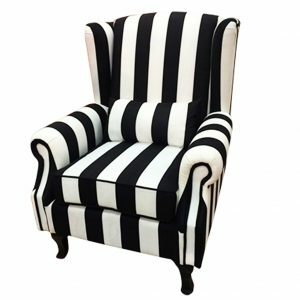 Hi-styling with this Black & White stripped fully upholstered wing chair. Has rolled arms and welt on seat cushion. Comes with matching lower back pillow. Espresso finish on wood legs. 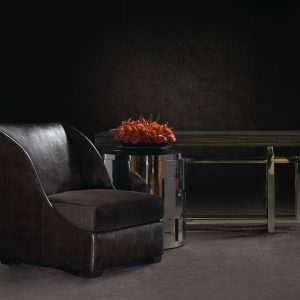 Hi-back Chair comes in Chocolate brown leather or Chocolate brown upholstery. Has round wood feet with a Brandy finish. Beautiful Antique Brass nailhead detail all around bottom and flowing up the sides of chair edge. 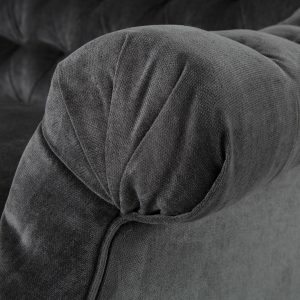 Cushion is Luxe Down with welt. 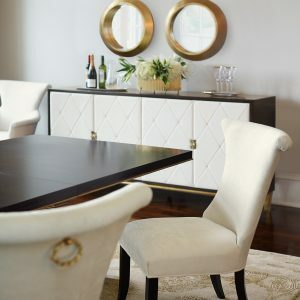 This adorable Banquette is perfect for comfortable seating around the dining table or breakfast table. 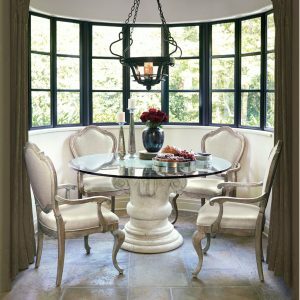 It adds some versatility in the look of your dining area. Has a Spring Down cushion, nail heads are all around inside, outside and bottom trim, and comes with 4 Feather Down Blend Throw pillows knife edge with welt (22″ x 22″). Shown here in Neutral Bisque Fabric. Side Chairs and Oak Table are sold separately. 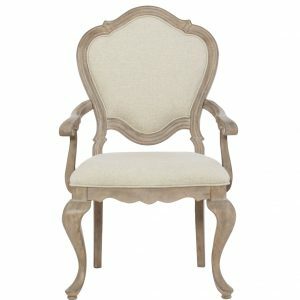 This Arm chair is made of White Oak Weathered Sand finish, fully upholstered chair with nailhead trim on seat and back. 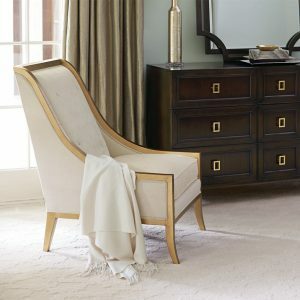 This Arm chair is made of White Oak Weathered Sand finish, it has beautiful curved lines and detail on the wood. Has upholstered seat and back. 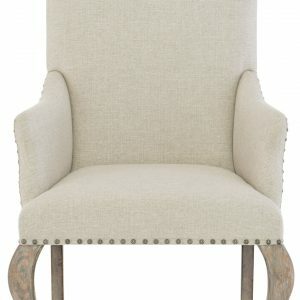 This Side chair is made of White Oak Weathered Sand finish, fully upholstered chair with nailhead trim on seat and back. The Chance chair has inviting curves, with dramatic horizontal channels and tonal wood frame. 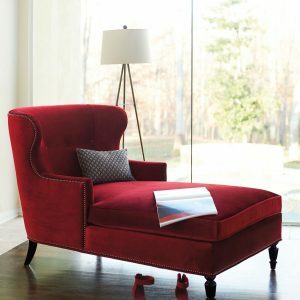 It captures an alluring temptation to lounge comfortably. 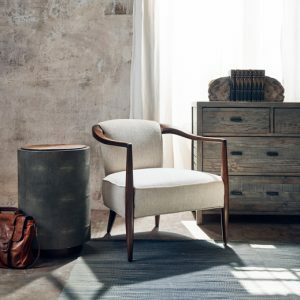 Available in top-grain Dakota Leather, Natural Linen upholstery – in soft Olive. 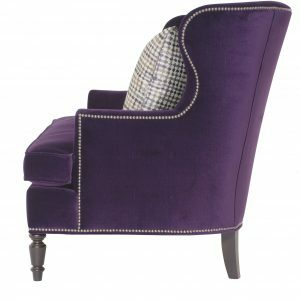 This chair is fully upholstered with welt and button-tufted back. 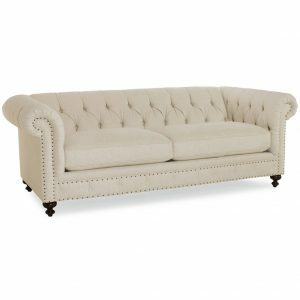 Available in Gray upholstery without nailhead trim and in Cream upholstery with bright brass nailhead trim detail all around. 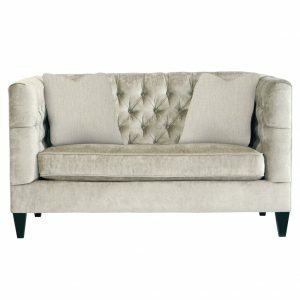 Back-side is un-tufted and has soft seam. 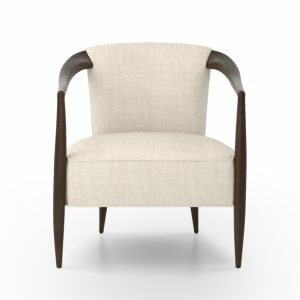 Curvy, exposed wooden frame is solid mahogany hardwood in an aged, bone-white finish, separating the dark chocolate and milky white print velvet outer surround back and sides of chair. 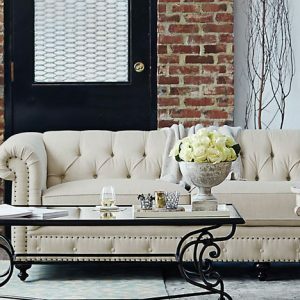 Neutral linen box cushion and tufted inside back make for a comfy stay. 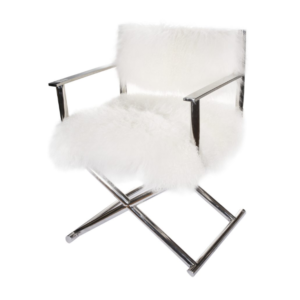 It features a soft white faux Mongolian fur seat and back. 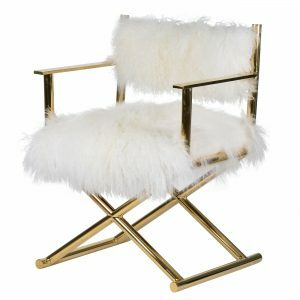 This directors chair is available in either silver or gold finish. Perfect for your more glamorous guests. 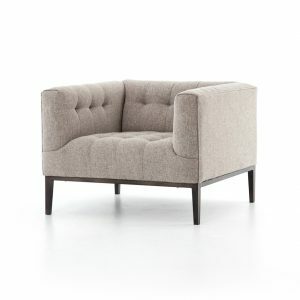 The Haley chair has button-tufted front-back and seat, upholstered in a soft gray fabric. 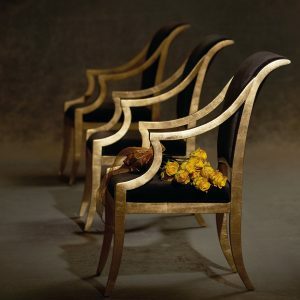 It has antique gold finish legs and base. 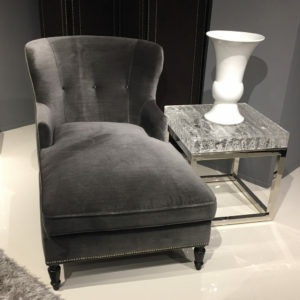 Fully upholstered fabric chair, featuring comfortable and cozy luxe down cushion. Has button detail on inside back with welt all around. 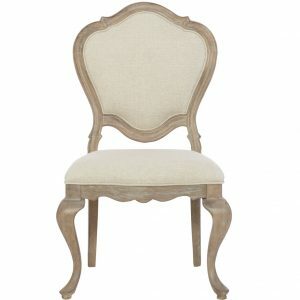 Available in Cream Fabric with Gold Leaf finish or Cream Fabric with Mocha wood finish. 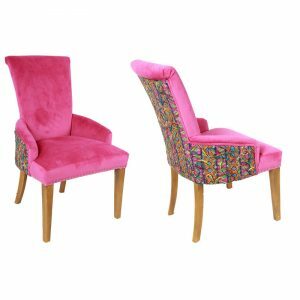 This fun and vibrant hot pink chair features a lush fabric on the front side and a coordinating geometric pattern fabric on the back side. 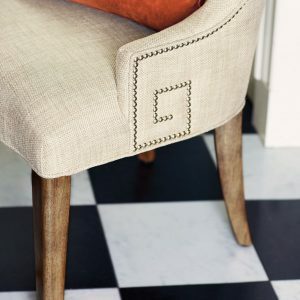 Chair comes with silver nail head detail around bottom front and matching cording trim around sides and back. Has light oak legs. 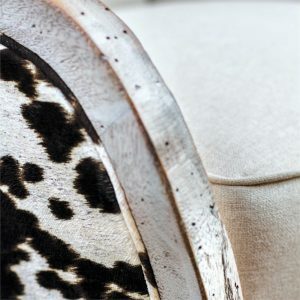 Fully upholstered in a Brown Espresso Leather that has a snake skin imprint, seat has a soft coordinating fabric over luxury spring down cushion. This sleek style is a modern piece, perfect for your home library or office. 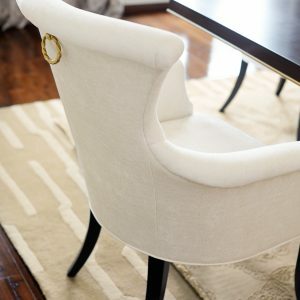 Contemporary fully upholstered Chair in lush Cream fabric, featuring soft curved lines and Solid Brass Rope-twist ring pull on back side. Full welt detail and Caviar wood finish legs. Contemporary fully upholstered loveseat in beige linen fabric. 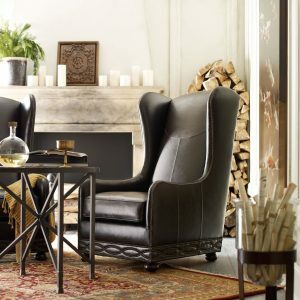 Comes with tufted button back and inside arms, decorative facing button trim with antique brass nailhead detail and Molasses finish wood legs. 2 Luxe Down seat cushions. 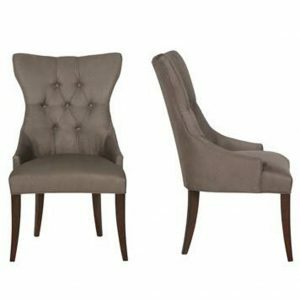 Contemporary fully upholstered Chair and a half in beige fabric. 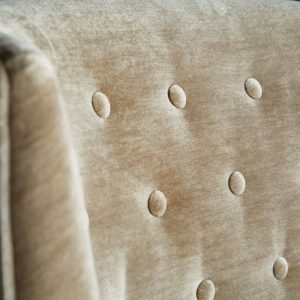 Comes with button tufted back and inside arms, decorative facing button trim with antique brass nailhead detail and Molasses finish wood legs. Comes with 1 Luxe Down seat cushion. 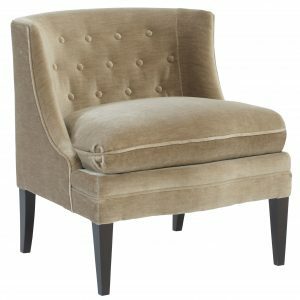 This Chair has hand tufting that lends equal parts comfort and sophistication to wheat-colored fabric and squared off arms. Slim gunmetal-toned legs add an industrial touch to clean, trend forward seating. 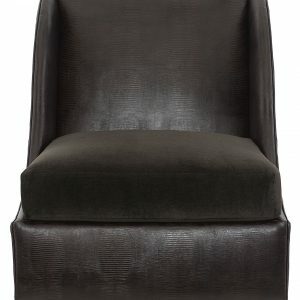 Fully upholstered fabric chair, featuring Dark Sable finish on wood legs, trim and arms. Has delicate nail head trim all around for a perfect finish. 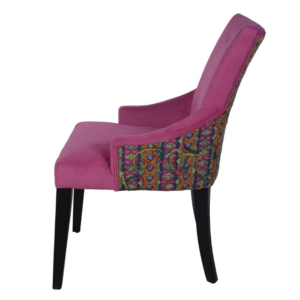 Comes as a side chair or an arm chair, perfect for dining room table or home office. 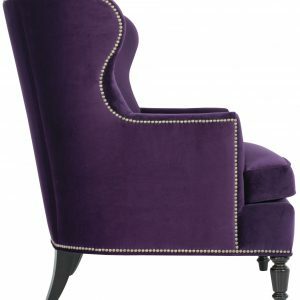 High back chair with soft button inset, stylish side curve design, decorative nailhead trim all around. Has Luxe Down seat cushion with welt, and Mocha finish wood legs. Comes in Violet, Cabernet and Black. This gorgeous chaise lounge is perfect for relaxing, it has a comfy Luxe Down Cushion and comes with a matching down blend throw pillow that sits comfortably in back center (as shown in Gold Chaise lounge photo). Pillow it has a knife edge with welt (20″ x 20″). 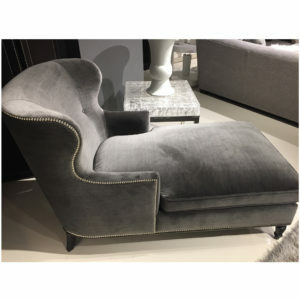 This gorgeous chaise lounge is perfect for relaxing, it has a comfy Luxe Down Cushion and comes with a matching down blend throw pillow that sits comfortably in back center Shown here in soft Grey upholstery with Nickel nailhead detail. Cushion has welt all around and pillow has knife edge with welt (20″ x 20″). 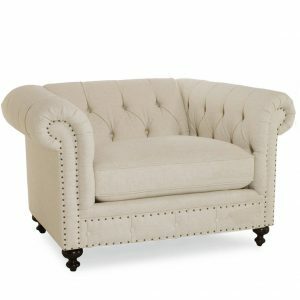 High back with soft button inset, stylish side curve design, nailhead trim all around. 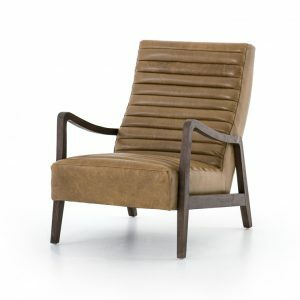 Comes with Luxe Down seat cushion with welt, Mocha finish legs and soft fabric in 3 lush colors. 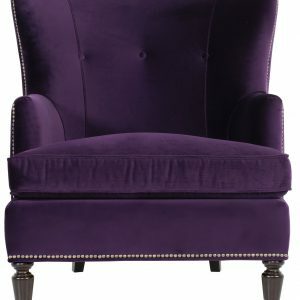 Comes Violet, Cabernet, and Black upholstery. The Naomi Chair has a soft contemporary design. 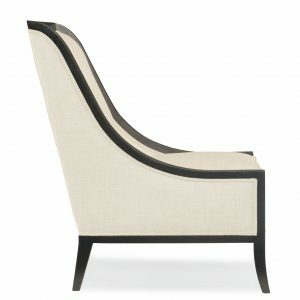 Perfectly seamed down the back and presented in soft gray or cream leather. Legs are wood with either Aged Gray or Espresso finish. 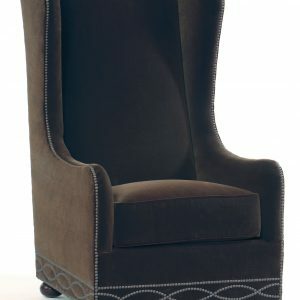 Fully upholstered Arm Chair with Greek key design, has Bright Silver Nickel nailhead trim and welt around outside of arm and back.